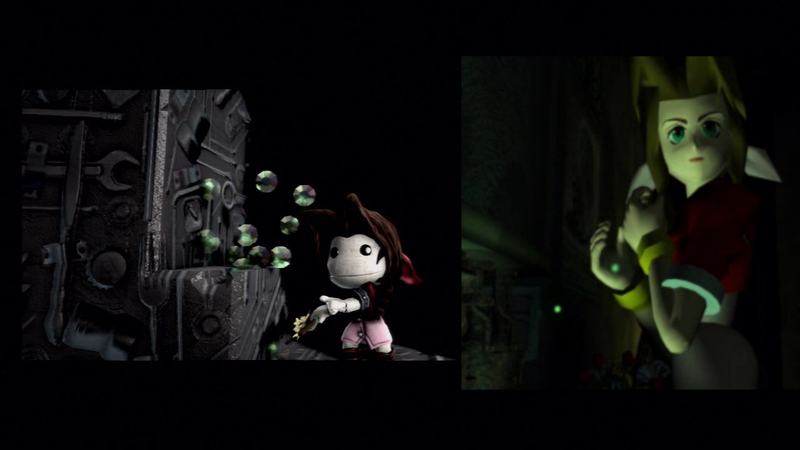 I told you gamers would make the remakes everybody wants all by themselves if developers did not comply… or at least in this case created within LittleBigPlanet 2. Yeah, I may have mind bleeped you if you are the type to constantly search for news on any indication that Square will make a Final Fantasy VII remake. Rest assured they will… at some point…. just not today so live free and die hard. Sure other sites have reported on it already but, well, they just throw up Jamster’s video of the initial mission. Write two sentences about the game and call it information. I wish I had these outlets on speed dial because I’d be rich if I knew it was so easy to phone it in. That’s just a joke, son. Sorry, thought I had more. This is what we call being unprepared, folks. 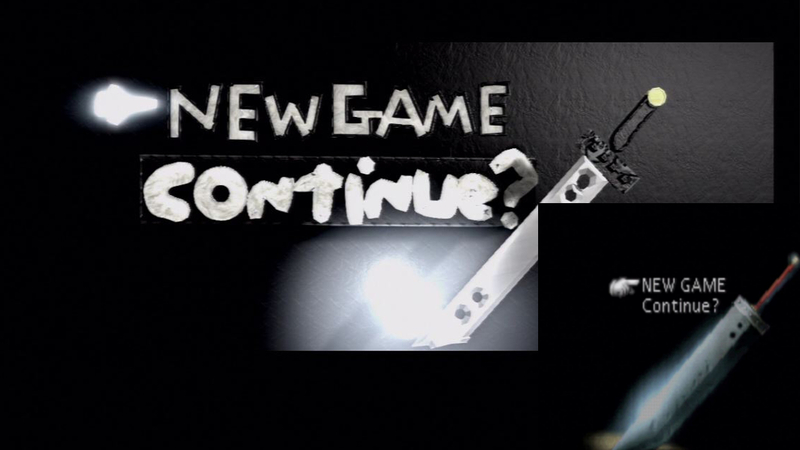 This remake spans 31 levels in total. Each level clearly represents a meaty chunk of the game because the first level took me at least ten minutes to clear, maybe longer. 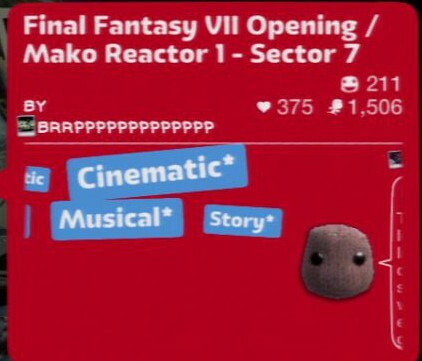 In addition to this being practically Final Fantasy 7 distilled into LittleBigPlanet form, the soundtrack to the game accompanies the action on screen. This feels like Bizzaro World. There is no point “reviewing” this fantastic fan project. It is a labor of love. To criticise it would be no different than critiquing the noodles on the macaroni necklace your child gives you. You know what it is, you know what it represents. It is made of dried pasta and string but it is beautiful. That’s what this whole project is. A fan’s heart, on a plate, ready for the world to play. It is fun. 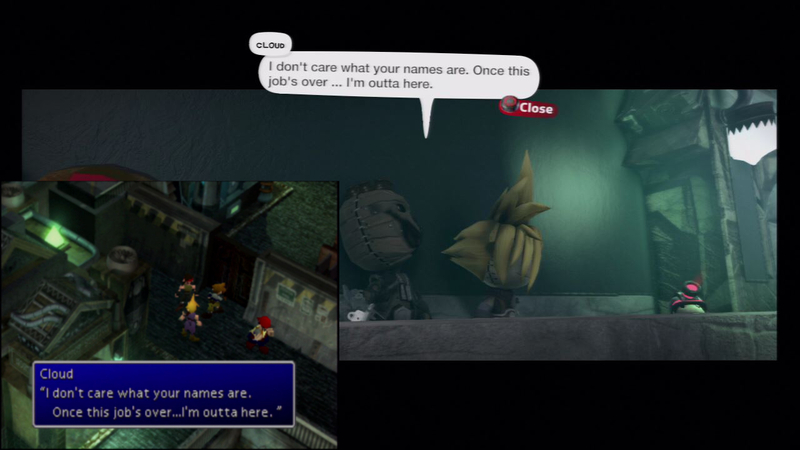 I will say that these levels are definitely aimed at somebody who has played Final Fantasy VII. Protip, be persistent and not Judgey Judy because the nostalgia you will feel on this trip is actually pretty pleasant. 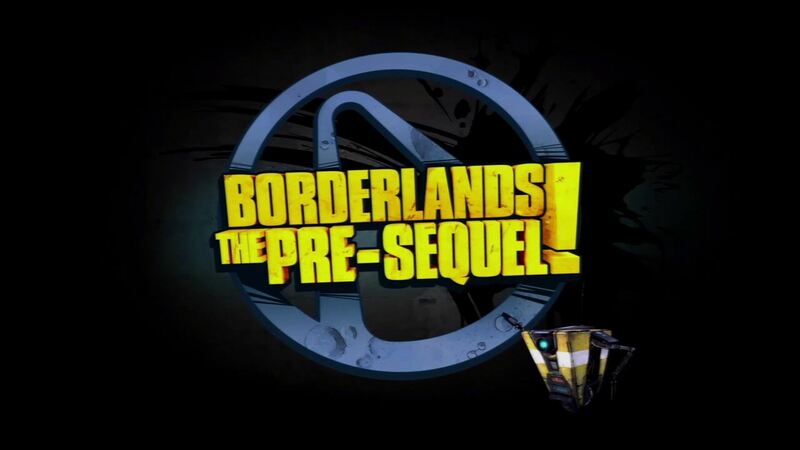 First Impression: Borderlands The Pre-Sequel! 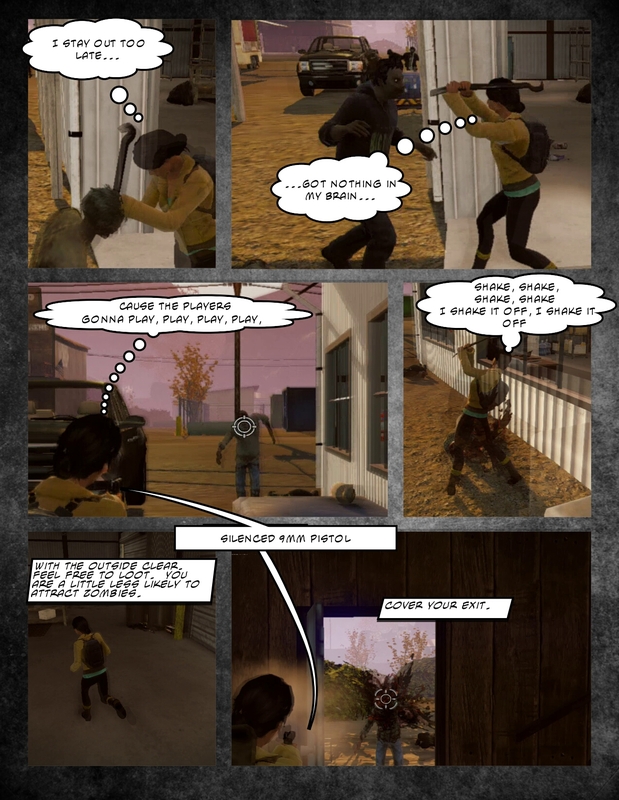 The formula for Borderlands is simple, take a comedic plot with four classes of heroes, add enough interesting enemies for them to kill long enough to hit the level cap and enough loot to satisfy the grind. 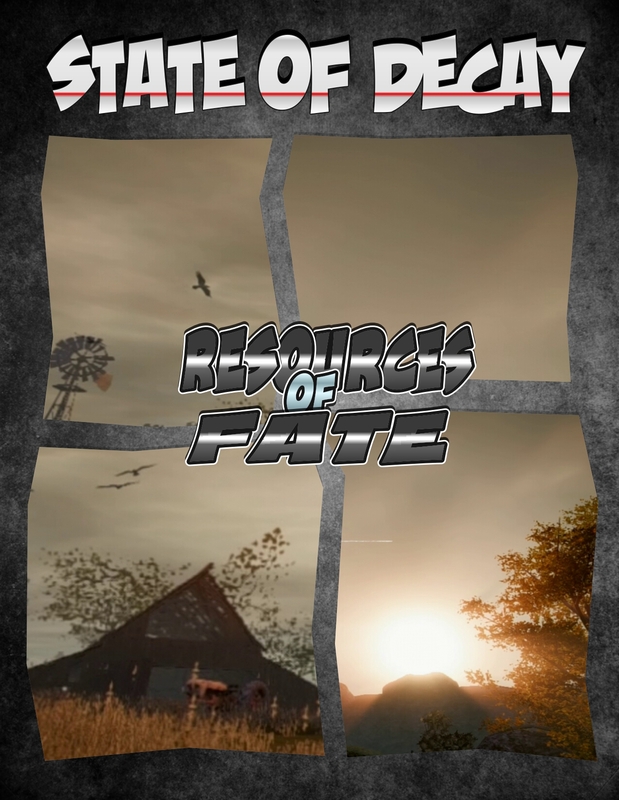 Each game does not stray too far from the established idea of an Action RPG. Each class has a special ability and numbers still shoot out of your opponent when damage is done. 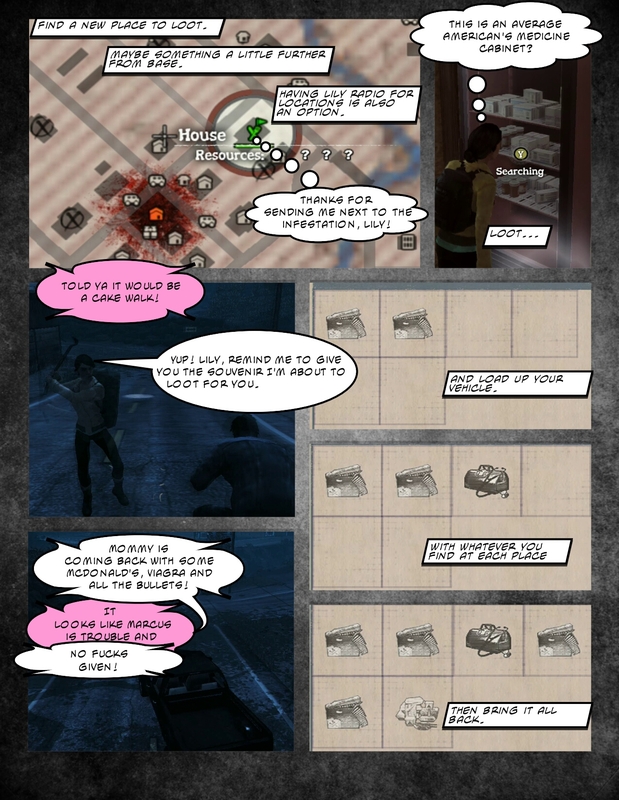 Oh, and there is still epic amounts of loot. The loot is still as much of a blessing as it is a curse so upgrade your backpack early because you will be carrying a lot of crap. I am not sure how big the moon of Pandora is, yet. A lot of the moon looks the same to my untrained eyes. In some ways, this is an alternate version of Pandora. The gravity is slightly different, the enemies are different, the doctor of medicine and provider of transportation is different. Even your ally, Jack is different. He is most definitely trying to do the heroic thing and save the moon. Though, a few hours in, it is easy to see his turn to a villain become more and more likely. 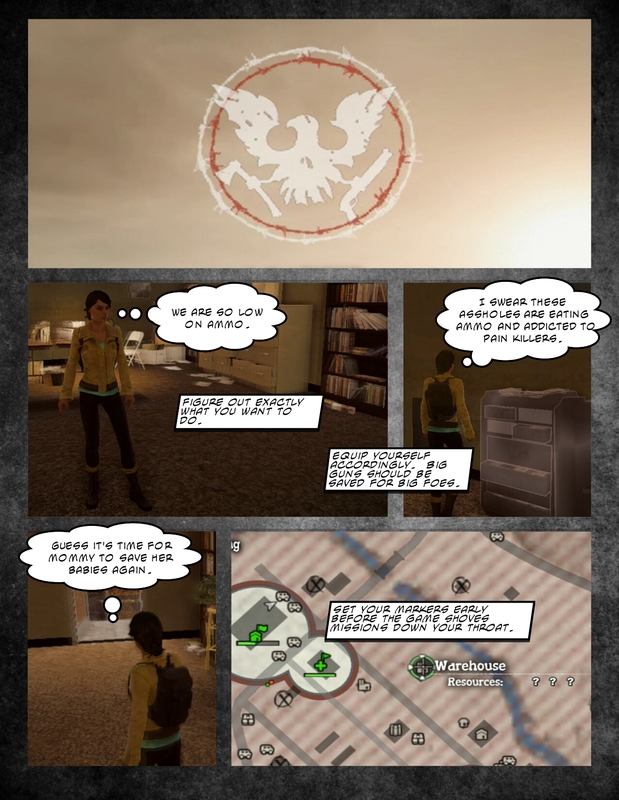 I wish I knew how much actual real estate exists within The Pre-sequel because it feels just as significant as a sequel as Borderlands 2 was. There are new concepts to explore, such as traversing the moon’s surface. The gravity is different and a new piece of gear called an Oz tank is needed to survive outside for an extended time. The Oz tank also allows you to glade through the air or perform a “stomp” attack. Some Oz tank will offer bonuses to these abilities. That is all part of the fun of loot. 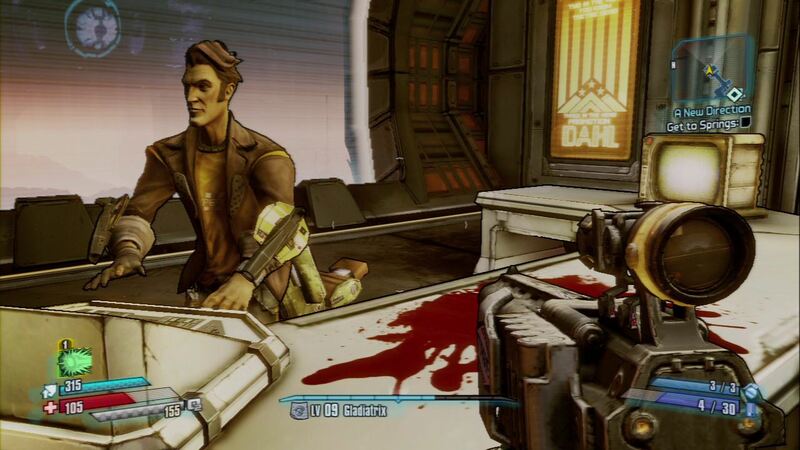 The characters seem just as over the top as they did in other Borderlands games. Though, without ruining anything, there is a more attention paid to things like homophobia without getting preachy. [Side note: One day this type of content will be so common there would be no reason to note it.] 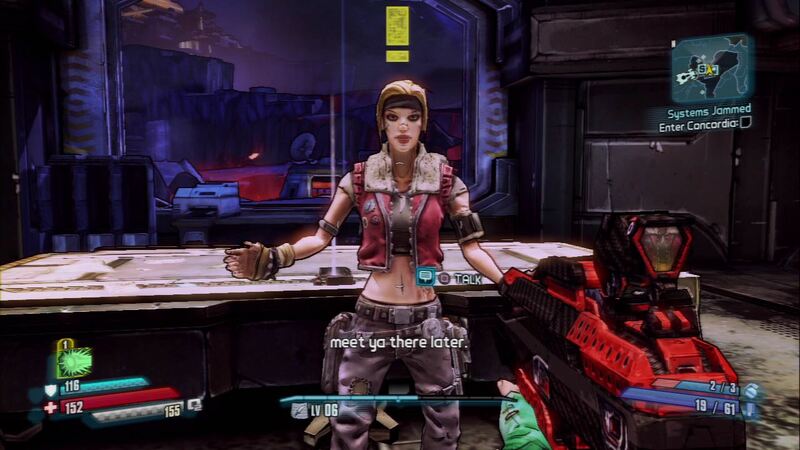 There has not been a character as memorable as Tina or as interesting as Jack but every unfamiliar face belongs in the Borderlands universe. Of course, I’m not that far. My only gripe is the lonely feeling that still haunts this series. There is always nothing but empty space between me and my objectives. The time I spend traversing these empty spaces changes when I can drive a buggy, but they are large empty spaces populated by enemies I gain little benefit by stalking. Maybe there is a loot spawn tucked away in one of the corners but for the most part I’m moving through the empty, hollow, soulless space in silence until I reach my objective. My other gripe is loading into zones. They are no less frustrating or frequent. There is no use complaining about them. They are something I had hoped I would not deal with after being freed from them in Destiny. 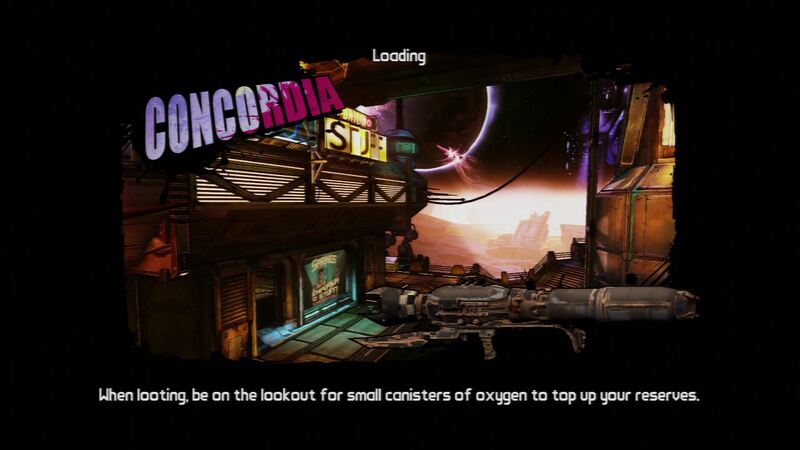 The load-in sequences are not very long but every Borderlands fan understands that when they see their objective marker at the edge of a map, they are in for a little bit of a wait. 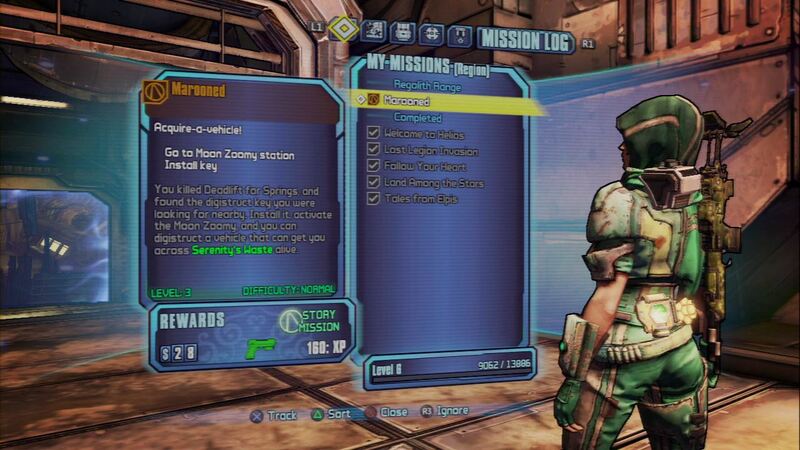 I did not realize how much I might have wanted another Borderlands game, but this one is hitting the spot real nice.